It's June, which means wedding season is upon us. 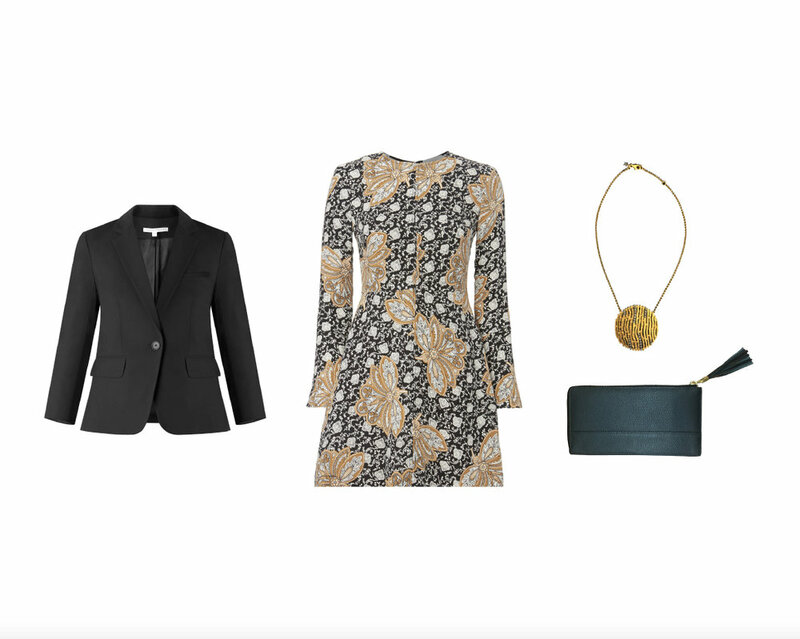 We know that summer weekends can be eaten up by the nuptials of friends and family, so to make the hectic party season go smoothly, we've brainstormed some outfit ideas. It's ambitious to think you can wear the same dress to every wedding venue - we applaud you if you do - but it's nice to have a few solid options to take you from an intimate back yard venue to a grand, formal affair. It's important to take the location into consideration when planning your outfit, not only with your clothes but your shoes and accessories as well. Dresses certainly aren't the only thing to wear. Take a risk, and wear trousers to the big day. Take a cue from a tuxedo and pair tailored black pants with a draped white silk top for a sophisticated and unexpected black tie look.